What is the format of your scavenger hunts? How does this work? 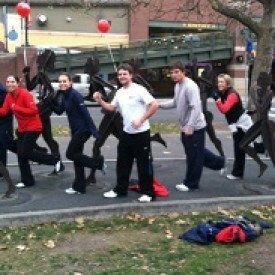 We create, staff and fully operate all of our scavenger hunts. You just show up and participate! Our hunts utilize smartphone technology so bring your mobile device and expect to have fun! Our staff will meet your group at the designated meeting location, at the appointed time. We’ll divide you into teams of 4 or 8 participants. You can also create your own teams in advance. Groups must stay together – no splitting up. We have two kinds of hunts. One has a 2 hour maximum time and the other is 4 hours. Teams must work together to determine how best to approach the hunt. You do not have to follow the numerical order of the clues. In fact, you shouldn’t. The team with the most points, wins. Order of arrival breaks a tie. Teams are on their own for the duration of the hunt (except to meet at designated check-in locations), left to plot their own strategy and course for the hunt. It’s great exercise in team-building, as participants work together to search for and discover the answers to our hunt clues. As the hunt concludes, teams meet our staff at the designated ending location. That can be a bar, restaurant or spot within the venue. We need approximately 10 minutes to tally up all the team scores. We’ll grade each team’s clues individually. Once we have the team ranking and winners determined, we’ll interrupt your party for a brief announcement and wrap-up. At that time, we award prizes to the winning team. Afterward, we’ll stick around for a little while to answer questions in case anyone was stumped by a clue or wants to challenge us about something. Then, our portion of your event is over! What are your scavenger hunt clues like? Our hunt clues vary from finding objects to executing fun activities to trivia questions that you have to search for and discover the answer to. We’re experts at crafting questions that draw upon all kinds of fine details and hidden elements within the hunt venue. For museums, our clues are based on exhibits. Every event is different, please contact us for pricing the specific event you’re interested in. 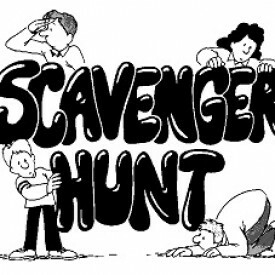 Do you have scavenger hunt materials for sale? 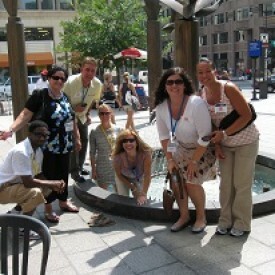 We organize and operate scavenger hunt events for groups of all kinds. At this time, we do not have scavenger hunts for sale or distribution. We do events for the general public as well as for corporate and privately organized groups.